CDC released new surveillance data on viral hepatitis in the US. It shows that between 2015 and 2016, the number of reported cases of HCV increased by 21.8%. The data confirm that high rates of injection drug use, lack of access to sterile equipment, and the unavailability of testing and treatment for lower-income and incarcerated people continue to drive a sprawling epidemic of viral hepatitis. An estimated 5 million Americans are infected by the hepatitisC virus, which is now the most common cause of death by an infectious disease. Globally, there are 1.34M deaths per year from viral hepatitis, which is comparable to the number that dies of malaria, HIV and TB. Mortality has increased by 22% since 2000. Unsafe injections have been repeatedly reported from 7 out of 11 countries that carry 50% global burden of hepatitis. 30-40% of new hepatitis B&C in developing countries is due to syringe reuse. We were thrilled to participate in the World Hepatitis Summit in Sao Paulo Brazil in November. There were 900 delegates from over 100 countries. It was the launch of NOhep2030. NOhep2030 is a multipronged campaign that encourages prevention, testing, and treatment. 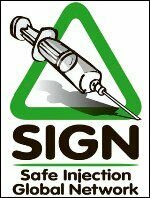 A big part of prevention is injection safety. Here is a video recap at this important summit. NOhep2030 is a campaign to eliminate viral hepatitis by 2030. The campaign is doable because there is now a vaccine for Hepatitis B and cost effective cure for Hepatitis C. My husband and I are thrilled to be part of this effort. As youngsters, our earliest participation in public health was to be part of massive polio vaccination. We think it would be very cool to see within our lifetimes the elimination of two deadly diseases – polio and viral hepatitis. We will need everyone’s participation to eliminate viral hepatitis. I urge you to visit NOhep.org to see what you can do to help. At this time of year, we review our activities of the previous year. Join us as we look back on 2015 through the lens of HONOReform. HONOReform is the only national advocacy organization dedicated to protecting patients by safeguarding the medical injection process “from manufacturing to disposal.” Our vision is a nation in which healthcare providers always follow fundamental injection safety practices that protect patients with every injection. Evelyn McKnight shared her story and the ongoing efforts of HONOReform at the landmark World Health Organization Safe Injection Gliobal Network meeting. At the end of the meeting, WHO representatitves shared the goal of having single-use only injection devices in use in developing countries by 2020. Additionally, Steve Langan represented HONOReform in Glasgow, Scotland at the first international meeting hosted by the World Hepatitis Alliance. Evelyn and HONOReform are active on social media, particularly twitter (#HONOReform). On our streamlined website, click on “JOIN THE CONVERSATION” to receive up-to-the-minute information from HONOReform (on Twitter and Facebook). Also, be sure to check out and subscribe to the HONOReform blog, “Survivor Stories,” edited by Evelyn and Lauren Lollini. To submit an idea for our blog or an article, contact Steve Langan at 402.659.6343 or steve@HONOReform.org. HONOReform appreciates the many opportunities this year to meet, in person and online, with students from numerous universities and colleges, as they studied the consequences of unsafe injections. We welcome the opportunity to share the HONOReform story and highlight the need to always emphasize injection safety. Our academic partners include University of Nebraska-Omaha, Midland University, Methodist Nursing College, the College of St Mary, St Louis Univerity and Southeast Community College – among others. HONOReform is a proud member of the Safe Injection Practices Coalition (SIPC), which provides support for the One and Only Campaign. The SIPC continues to develop and distribute its award-winning materials, and we continue to raise awareness among healthcare providers and patients about the absolute need for safe injection practices. As always, please contact HONOReform and allow us to help you access the matierals that will be most useful to you and your institution-if you are a healthcare worker-or your family-if you are a patient. Sadly, some healthcare providers in the United States continue to reuse and misuse medical equipment, including syringes. Additional focus areas this year included reuse and misuse of single- and multi-dose vials of medication and responding to increasing reports of drug diversion among healthcare workers. Through the HONOResponse program, HONOReform is poised to help patients and communitities immediately following a patient notification or confirmed outbreak. To develop an education program, at no or reduced cost, on injection safety for healthcare workers and to work in tandem with colleagues to advance these and other infection prevention efforts. To organize and help host a national meeting on drug diversion prevention and then to follow up on the action steps we adopt at the meeting to influence mitigation and elimination of the problem. To continue to encourage international leaders to focus on making injection safety a priority. Lauren Lollini is a patient safety advocate who has been integral in changing laws to keep patients safe as well as a member of the Drug Diversion Prevention Committee. Prior to my 2009 Hep C infection I paid little, if any, attention to issues of safe injection practices, drug diversion or outbreaks. In my ordinary life, I had no concern for such things. In fact, I am not even sure I could adequately define any of those terms prior to the chaos of 2009 and the outbreak in Colorado. Earlier this year, I commented on the closure of a medical office in Santa Barbara for various infection control violations. It was in the first half of the year and I was feeling hopeful because in 2014 none of the investigations which took place were found to have any infectious disease transmissions. And then in early April news spread the office of Dr. Allen Thomashefsky’s was being investigated. I felt it important to report again on this situation almost 6 months later as the office was given the approval to re-open last month. Am I disappointed that his practice was able to stay open in Oregon with certain restrictions in place? Am I saddened that this California office was able to be re-opened? Not as long as the proper procedures are implemented. Last week, reports of a nurse administering flu shots to 67 employees in New Jersey was found to be reusing syringes. While the risk for transmission appears to be low in this incident, it is yet another reminder about how easy the episode of exposure for an infectious disease can be. One shortcut taken either to save time or money can put patients at risk for HIV, Hepatitis B or C.
More than 150,000 patients have been told, over the last 10 years, they needed to get tested following a syringe misuse to include syringe reuse. Despite the protocols put into effect by the CDC, we continue to hear stories of patients put into harm’s way. Steve Langan, director of HONOReform recently attended the World Hepatitis Summit, hosted by the World Hepatitis Alliance. Following is his report. I am grateful for the opportunity to represent HONOReform and our advocates and stakeholders at the inaugural World Hepatitis Summit earlier this month in Glasgow. I commend the leadership and staff of the World Hepatitis Alliance—Charles Gore, Raquel Peck, Su Wang, just to name a few—who put together a thoughtful and comprehensive meeting. About 700 of us attended, representing 90 countries. It was a thrilling meeting. I reconnected with old friends and allies and met a lot of people from all over the world who share the desire to prevent and treat viral hepatitis. According to the WHA, 400 million people are affected with viral hepatitis. Almost a million and a half people throughout the world die every year as a result of being affected by viral hepatitis. It’s the seventh leading killer in the world. Still, it seems that many people remain nonchalant not only about the disease itself but by its most common form of transmission in developing countries—through the medical injection process. Earlier this year, Evelyn McKnight and I attended the Safe Injection Global Network meeting at the World Health Organization. Evelyn shared her powerful story. The WHO made a commitment to focus on encouraging developing countries—India, Egypt and Uganda, as a starting place—to only use single-use injection devices and to put these one-time-use devices in to play by 2020. This one fact alone is, to us, a sufficient call to action: Up to 70 percent of the infections of viral hepatitis in India are transmitted through healthcare. This call to action makes me think of the men and women in the villages west of Delhi. We had the opportunity last year to visit India and meet patients and their family members who were infected with viral hepatitis during healthcare. Watching Evelyn McKnight talk with these patients—mediated by a translator, but the emotions were universal—is one of the most memorable moments of my career. For them, and for the many other patients throughout the world who go to the doctor and come out with an injection of viral hepatitis, we encourage the WHO and its many partners—governments and industry, in particular—to renew the commitment to injection safety in developing countries. We have said it before but we will say it again: No person should go in to a medical facility for treatment and leave with an infection of viral hepatitis. Not in 2015. Not with all of the resources and materials that can easily, and affordably, be put in to play. We stand alongside our many colleagues throughout the world, including representatives of the WHO, one of whom, Dr. Stefan Wiktor, refers to hepatitis as the “silent epidemic.” Hepatitis is the seventh leading cause of death throughout the world Many of these cases of hepatitis, especially in developing countries, are caused by unsafe injection practices. HONOReform is honored to be included in the inaugural World Hepatitis Summit, which will occur early next month in Glasgow. We are grateful to the World Hepatitis Alliance for including us in these meetings. HONOReform continues to seek ways to expand and provide injection safety education and awareness in developing countries. I will report back from these meetings. In the meantime, we encourage you to read about the proposed WHO-led pilot program--in India, Egypt and Uganda–to which we aim to lend the leadership of Evelyn McKnight and HONOReform’s experience, determination and voice. We would like to thank Dr. Mudasir Firdosi for helping to highlight Hepatitis C as a truly global issue. This is re-printed from a post which appeared in mid-May. Kashmir valley is witnessing another disaster in the form of Hepatitis C epidemic. In some villages in Kokernag area, the number of cases is around 40% of the total population. In spite of media pressure, and demand from local population, authorities are still contemplating curbing the further spread of this infection. Similar scenario exists in other districts of the valley like Shopian, Kupwara, and Srinagar. Hepatitis C is not transmitted by routine personal contact and there needs to be an actual transfer of the virus via blood, blood products and body fluids, from one person to another. From the sociodemographic profile of the rural population, one can easily exclude intravenous drug abuse or sexual contact as the cause of the current epidemic in majority of cases. Steve Langan and Evelyn McKnight recently attended meetings of the Safe Injection Global Network, sponsored by the World Health Organization, in Geneva, Switzerland. Following is their report. How thrilling to be part of a global effort to advance injection safety! It was a rewarding moment when we entered the doors of the World Health Organization in Geneva, Switzerland last month to participate in meetings of the Safe Injection Global Network. We joined dedicated advocates of many countries, all working to eradicate reuse of syringes and needles, misuse of medication vials and unnecessary injections. Although we differed in language, culture and homeland, we were united in our passion to prevent disease transmission through unsafe injections everywhere – from India to Egypt, Uganda to the United States, and everywhere in between. Representatives from Nepal, Brazil, Pakistan and the United Kingdom said to us, “We’ve seen and admired the website of the One and Only Campaign. We’d like something like it in our country.” We were proud to share some highlights of the One and Only Campaign with the assembly, and we are eager to work with SIGN to bring it to all countries. Here is a 2 minute video that shares some of the highlights of the new SIGN Campaign. We will share here further developments as the campaign unfolds! As promised, here is a video of Guatemalan healthcare providers talking about the importance of injection safety. We thank them for their dedication to the safety of their patients! Trinis: It is important to use only one time one needle and one syringe! Mary: Using one needle and one syringe only one time, we are preventing the transmission of disease. Pedro: As healthcare workers, we have the obligation to teach others about this information, not only to other healthcare workers, but also to our patients.